Buying a certified pre-owned SUV, like the Volkswagen Atlas, is a great way to get your family inside a reliable vehicle that’s a little more affordable, but still performs like new. Toms River Volkswagen looks at everything this versatile SUV can do for families in Toms River, Brick, and Freehold, in this certified pre-owned Volkswagen Atlas review. Contact us today to schedule a test drive! 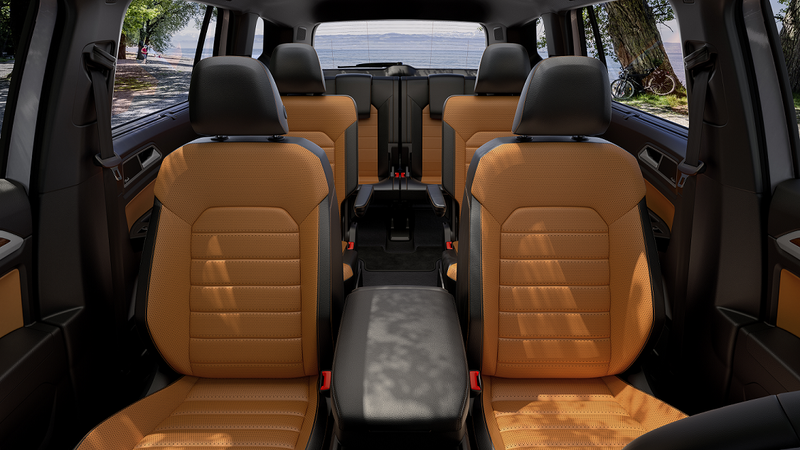 The Volkswagen Atlas is a roomy SUV with three rows of seats and space for up to seven people. It offers a comfortable ride wherever you’re sitting with 153.7 cubic feet of passenger space. Getting in and out of the back row is easy too with 60/40 split-folding second-row seats. These also come in handy when you need to make extra space. While there’s lots of room in the trunk, the folding second-row seats and 50/50-split folding 3rd row makes it easy to maximize your cargo room. At the front of the interior, you’ll have an 8-inch Composition Media touchscreen in your dashboard for your infotainment system. It gives you lots of ways to sync your smartphone with the Volkswagen Car-Net® App-Connect system. You can stream music and take hands-free calls with Bluetooth®, plus access some of your favorite smartphone apps through either Apple CarPlay™, Android Auto™, or MirrorLink®. It also offers lots of variety for your music with SiriusXM® Satellite Radio. The certified pre-owned Volkswagen Atlas offers a dependable drive with two efficient and powerful engines. The standard powertrain on most trim levels is a 3.6L V6 engine that gets up to 276 horsepower and 266 lb-ft of torque. This works with an exciting 8-speed automatic transmission with Tiptronic® and Sport mode. With its precision shifting and wide range of gears, it can get up to an EPA-estimated 17 MPG city and 23 MPG highway[i]. With this powertrain, you’ll also be able to bring some extra cargo with you. It has a towing capacity of up to 5,000 pounds, so you can haul a trailer or boat with you on your next vacation. The certified pre-owned Volkswagen Atlas is available in either front-wheel drive or 4MOTION® all-wheel drive. Models with 4MOTION® will actually be able to adjust the drivetrain between four modes with a Driving Mode selection dial on the center console. 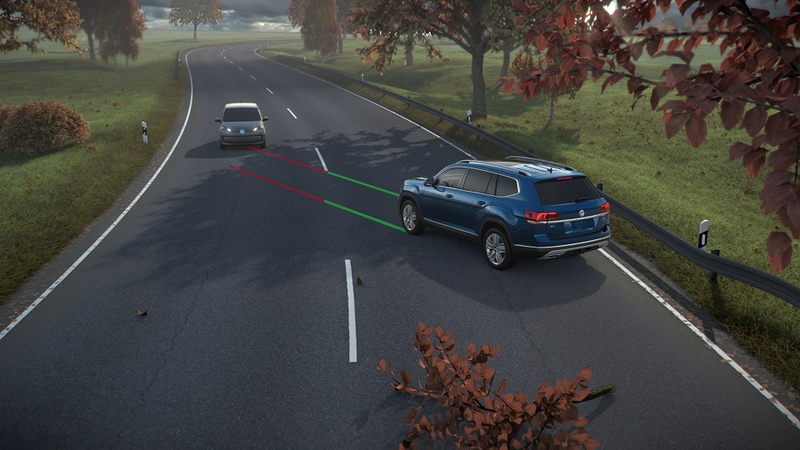 To protect you during an accident, the certified pre-owned Volkswagen Atlas was built with a safety cage that features front and rear crumple zones. These were designed to redirect energy away from the cabin during a collision. Inside, there are six standard airbags, including Side Curtain Protection® head airbags that cover all three rows of seats. On top of its safe and solid design, this SUV offers lots of driver assistance features to prevent accidents, including a Blind Spot Monitor, Rear Traffic Alert, and a Rearview Camera System. Visit Toms River VW to learn more about this certified pre-owned Volkswagen Atlas review and take a test drive. It offers lots of space, safety, and features to families in Toms River, Brick, and Freehold. [i] Based on 2018 EPA mileage ratings. Use for comparison purposes only. Your actual mileage will vary depending on how you drive and maintain your vehicle.